NOW: Please CALL your 2 Senators at their D.C. offices to Co-Sponsor the bill! Tell your relatives & friends to do this, too! More details & other options below! 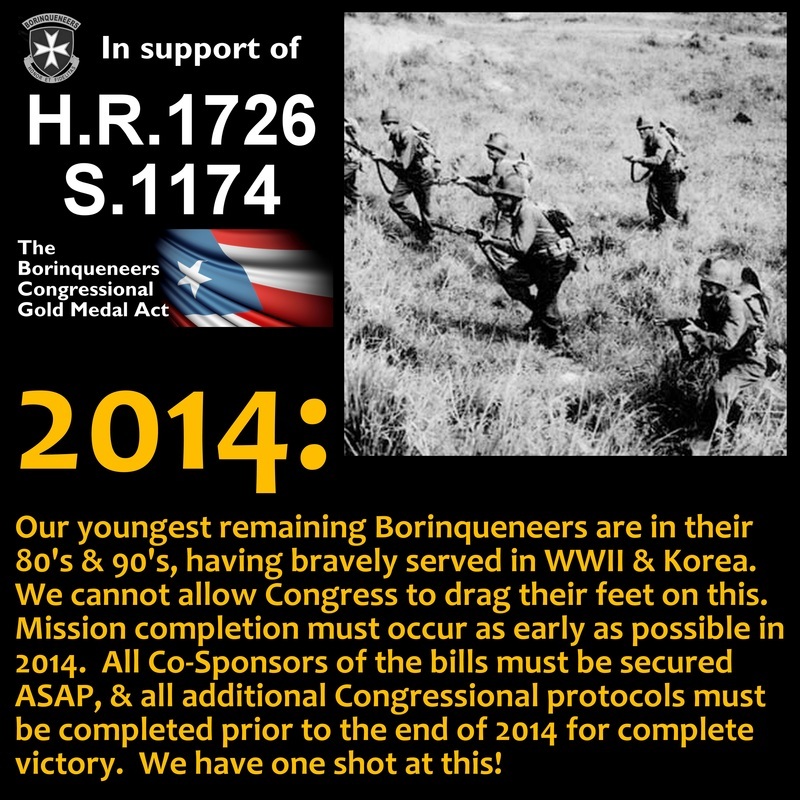 Also, please complete the 65th Inf. Reg. 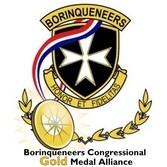 Borinqueneers Census if you know of a LIVING Borinqueneer! Please help SPREAD THE WORD, too! 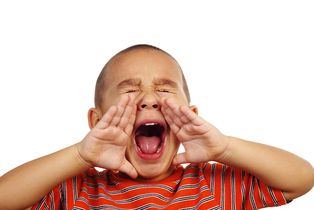 YOUR "Marching Orders" to Contact Congress: MORE Senators needed NOW! 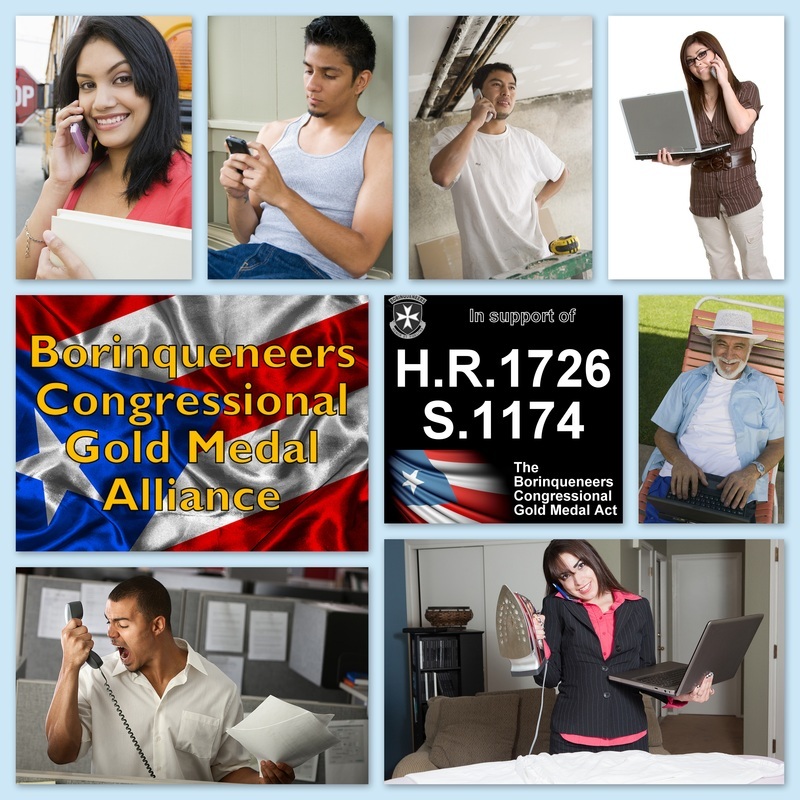 Contact Congress! Click to enlarge! Here's how YOU can HELP quickly & easily right NOW! Ask your family & friends to do this, too! 5 different ways to Contact YOUR U.S. Senators & ask them to Co-Sponsor the bills!!! 1) CALL the Military Legislative Assistant (MLA) at your (2) U.S. Senators' offices in Washington, D.C.! 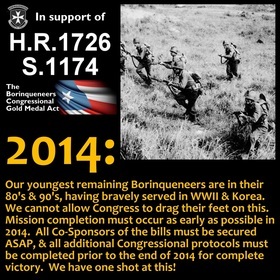 Contact the Military Legislative Assistant via telephone. There will be a record of your call (legal requirement)! “Hello, my name is First Name, Last Name. I currently reside in City, State. 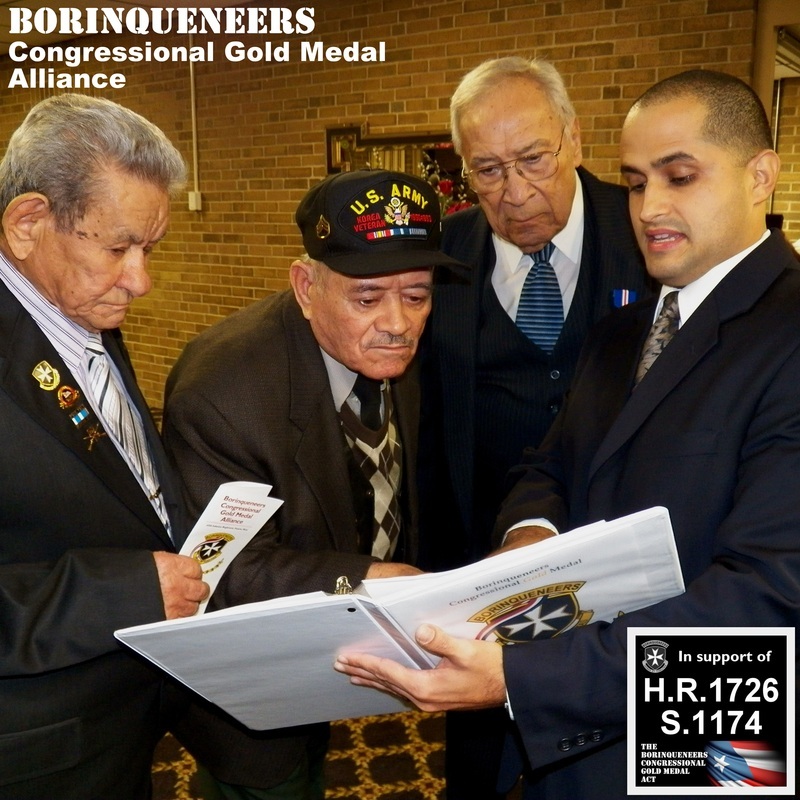 I am requesting that my Senator CO-SPONSOR Bill S. 1174 which will award the Congressional Gold Medal to the 65th Infantry Regiment Borinqueneers. The Senators we still need to become Co-Sponsors are organized by state here with their D.C. office phone numbers: NEED these Senators! 2) You can MAIL A LETTER to their district/state offices, NOT Washington DC offices because of extra delays in mail delivery for security reasons. 3) But, you can also FAX YOUR LETTER to their DC office!!! 4) You can complete the quick & easy email WEB FORMS on their official gov't. Senator websites. The Senators we still need to become Co-Sponsors are organized by state here with direct links to their online Web Forms: NEED these Senators! Which Senators do we still need? See current list by state of Senators who have NOT Co-Sponsored S.1174: NEED these Senators! Tell your relatives & friends who live in these states! If you are a 65th Infantry Regiment veteran or know of a LIVING 65th Infantry Regiment, please Contact Us immediately with your information!!! Obtain the basic, non-private information of LIVING 65th Inf. Veterans in your areas so we can include them to our census list. 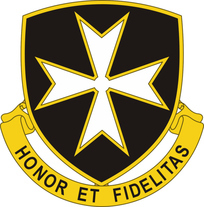 The information on living 65th Inf. 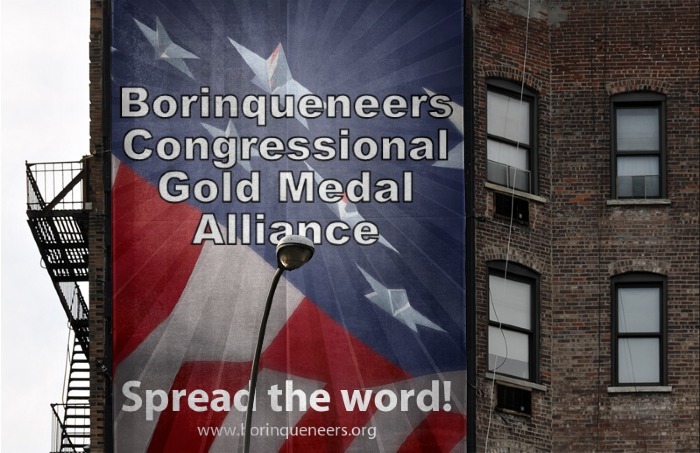 Veterans will substantiate our claim to our Congressional officials for the Gold Medal. Later on, this information will have to be validated by submitting official documentation. Report YOUR success to us! 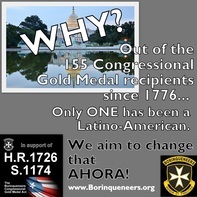 Let us know you've contacted your US legislators! Everyone needs to contact their two US Senators and one US House of Representatives member ASAP to Co-Sponsor the bills! Let us know when you've completed this highly important step! Use our Contact Us form or email us to let us know. Please include your state & US Congressional District number! 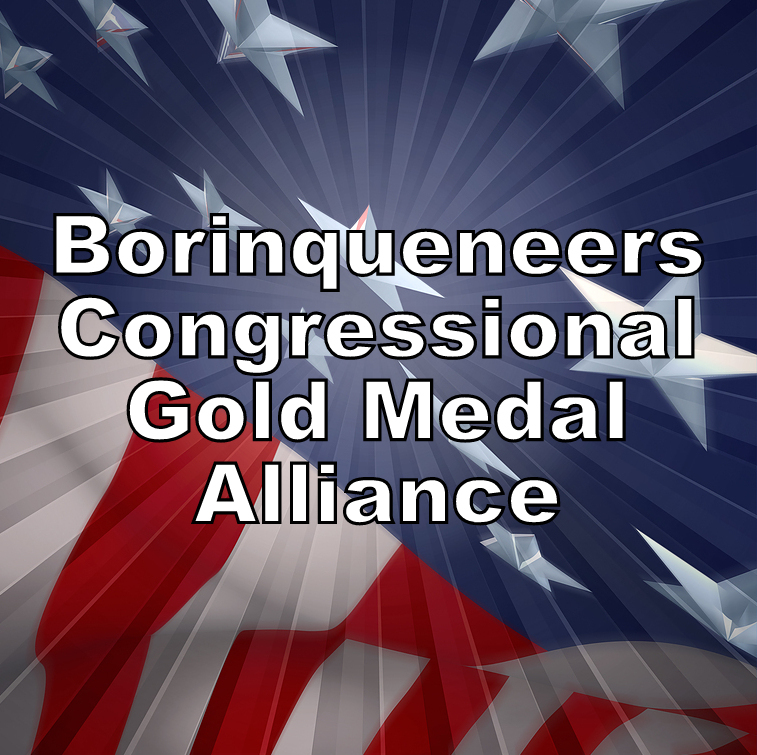 You can also use either method listed above to let us know about anything else that you've been able to help the Borinqueneers Congressional Gold Medal Alliance with! We'd love to add you to our public Honor Roll, but that's your choice. Muchas gracias! A little Inspiration for Championing the Cause! 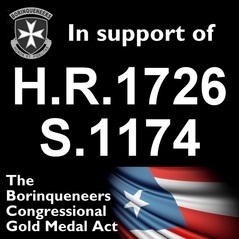 Contact YOUR U.S. lawmakers NOW to Co-Sponsor the bills! Click on 2014 visual to enlarge! "Like" & visit our Facebook Page to stay connected! "Like" & "Share" posts from our FB Page, & invite your FB friends to "Like" our FB Page, too! On FB, make sure you frequently check your "Pages Feed" or add us to your interests list so you don't miss anything! 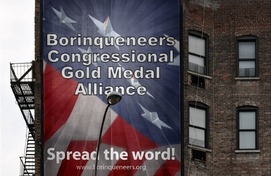 Let folks know about this great effort in OTHER WAYS, too! Don't forget family! 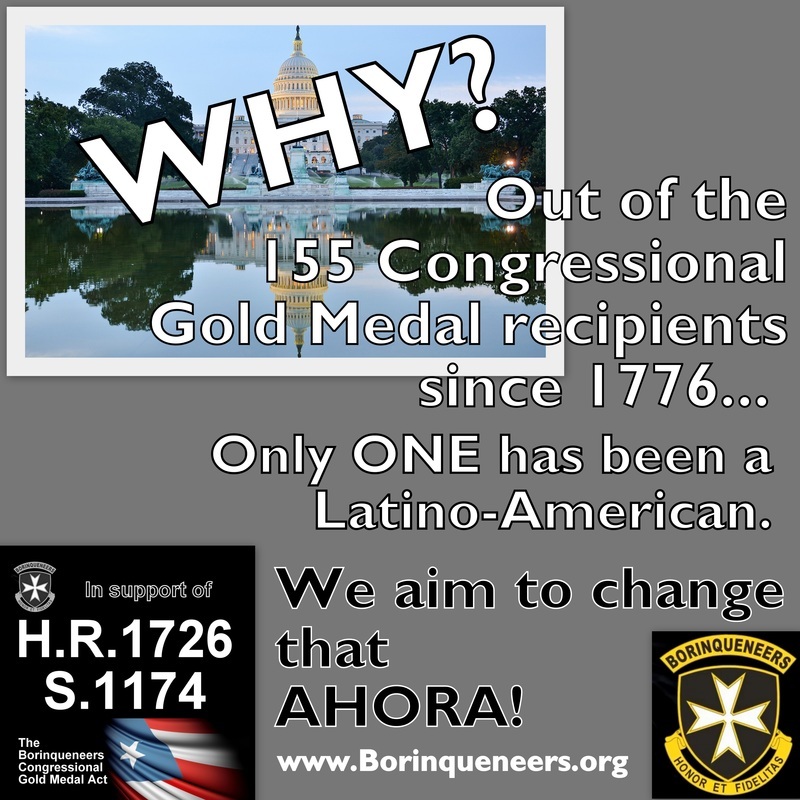 RESIDENTS OF PR: ask your stateside family & friends to contact their US lawmakers ahora! Visit our Resources Page for items that you can use and distribute! 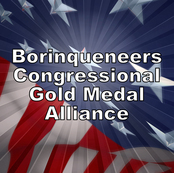 Borinqueneers strategy session! Click pic to enlarge!